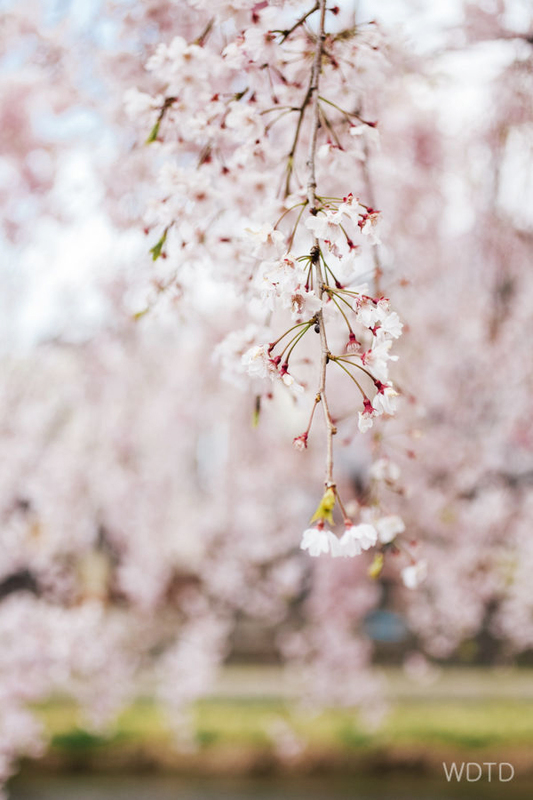 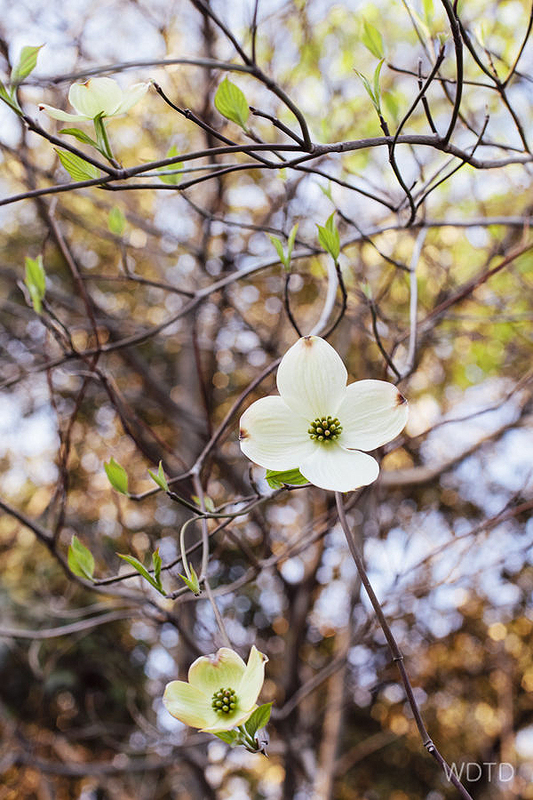 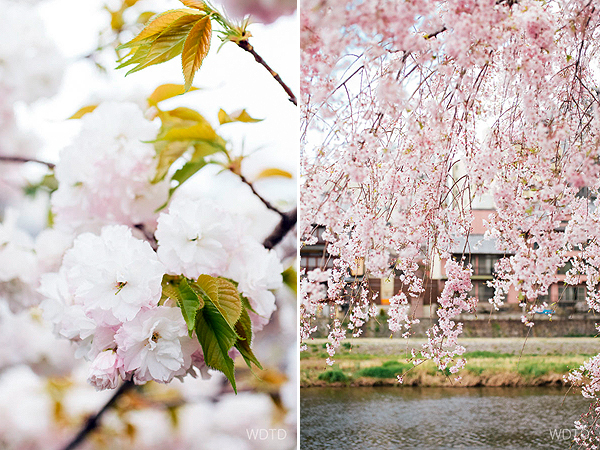 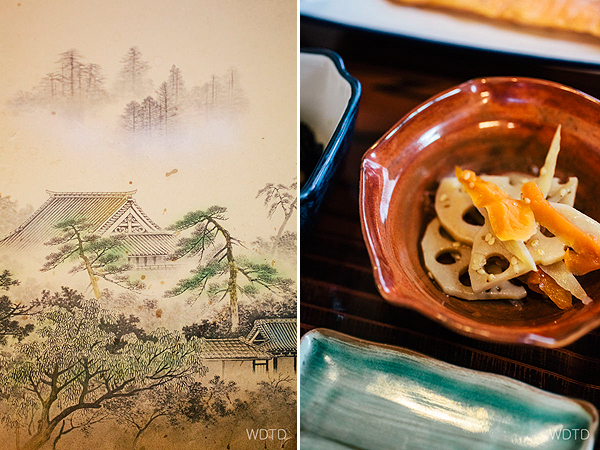 We were very fortunate to witness the beauty of Japanese cherry blossoms, experience staying in a ryokan (Japanese traditional inn) and dine Kaiseki style. 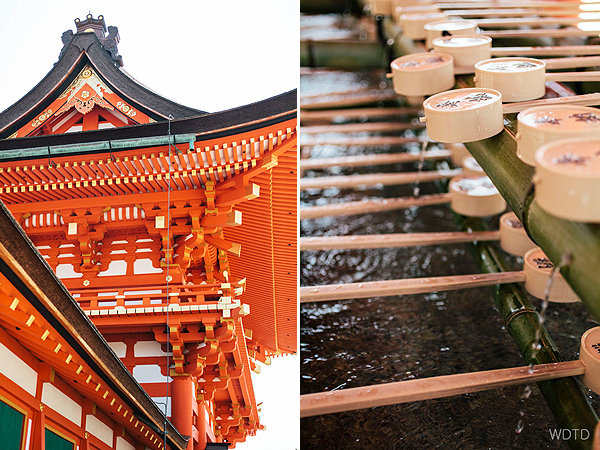 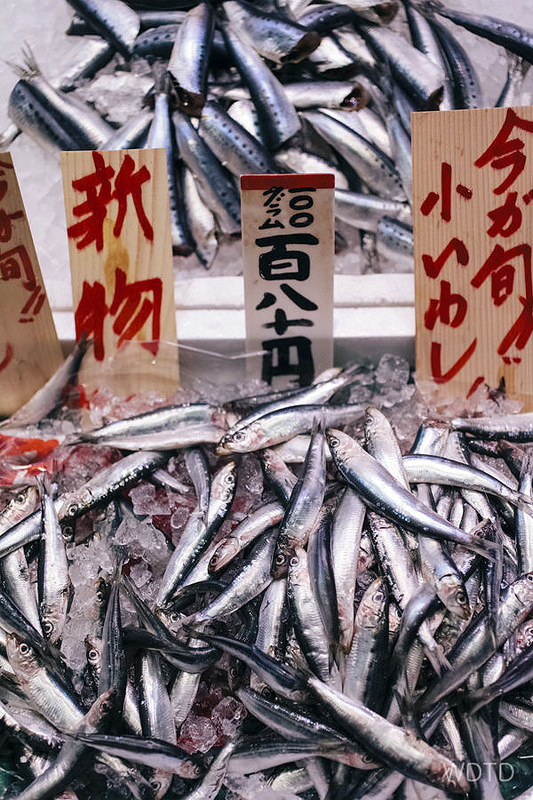 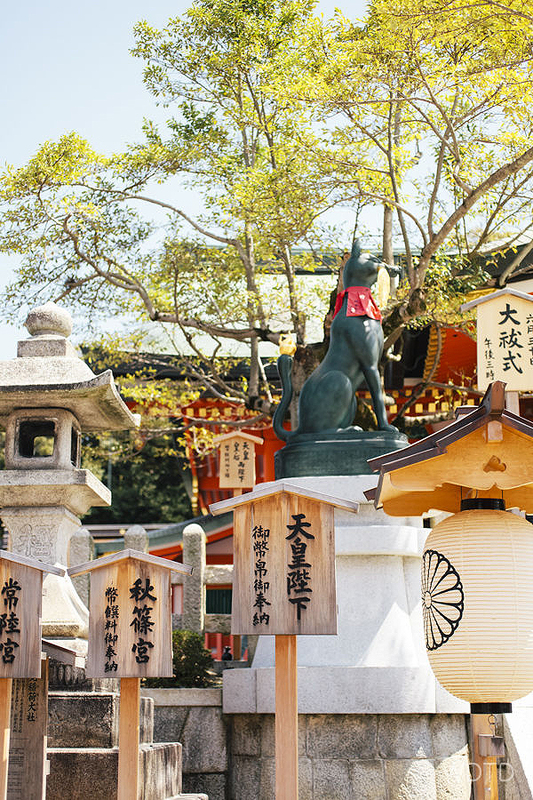 During our short 3 days there we also visited the Fushimi Inari Shinto shrine, Nijō Castle and the famous Nishiki market where locals go for their snacks and everyday grocery needs. 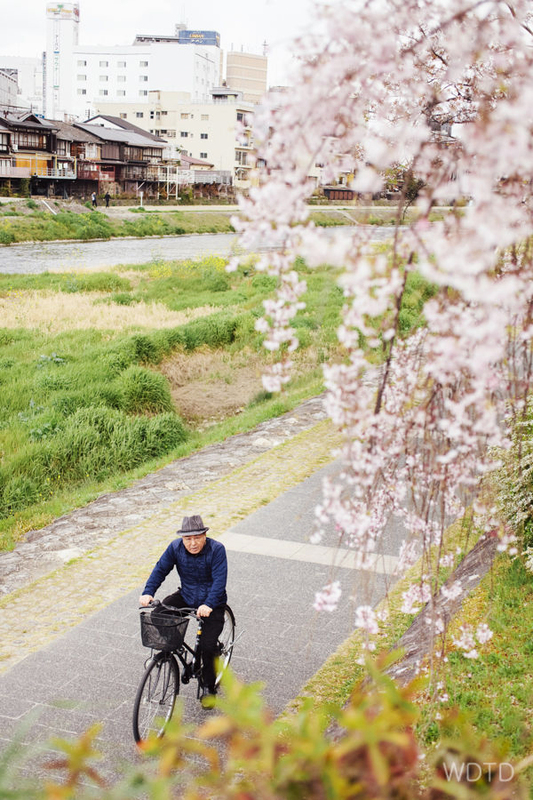 The local’s out cycling along the Kamo river – taking in all the good things spring has to offer. 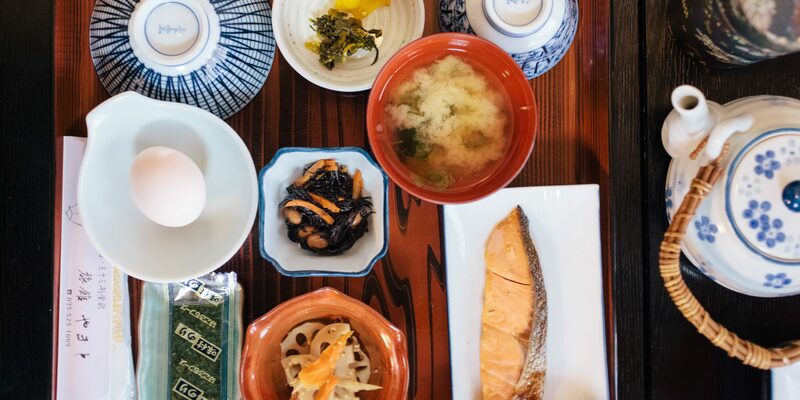 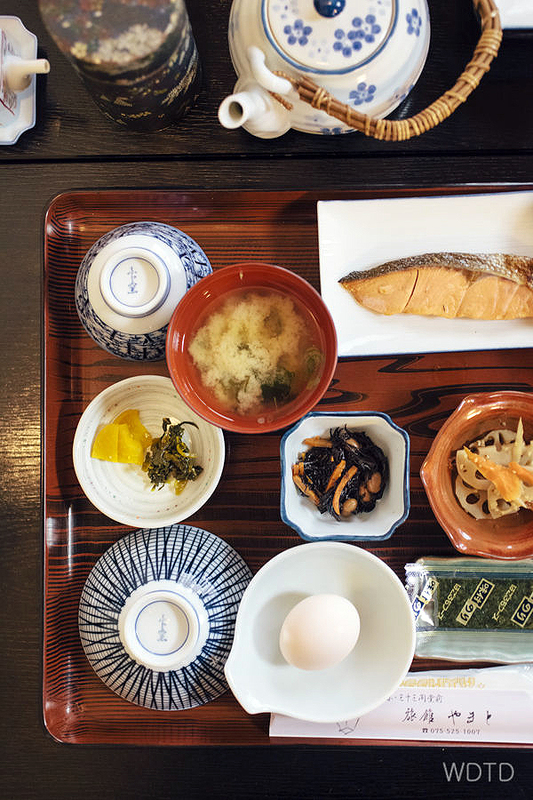 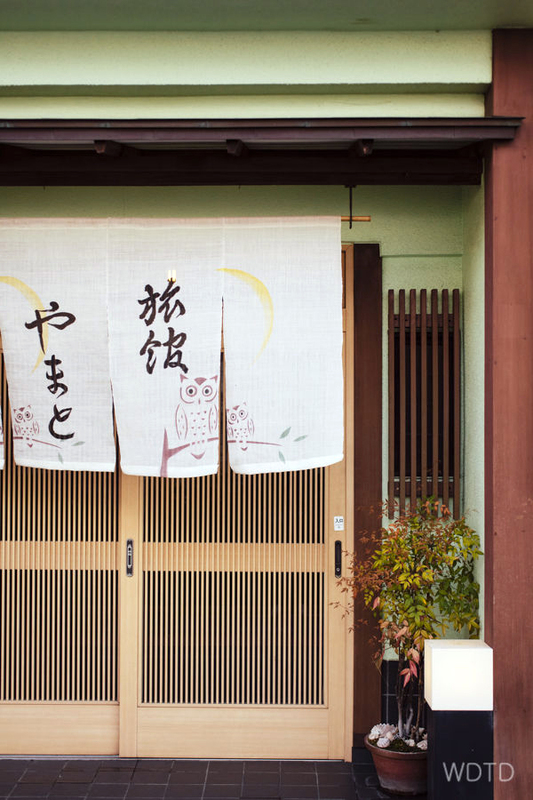 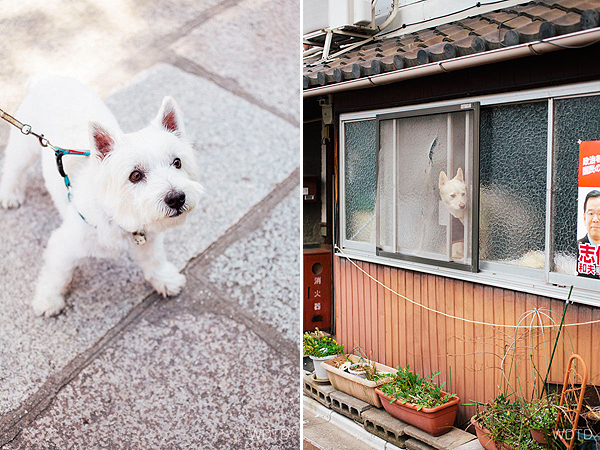 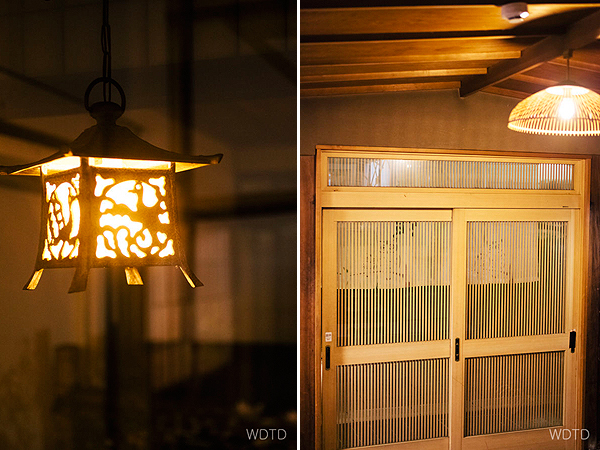 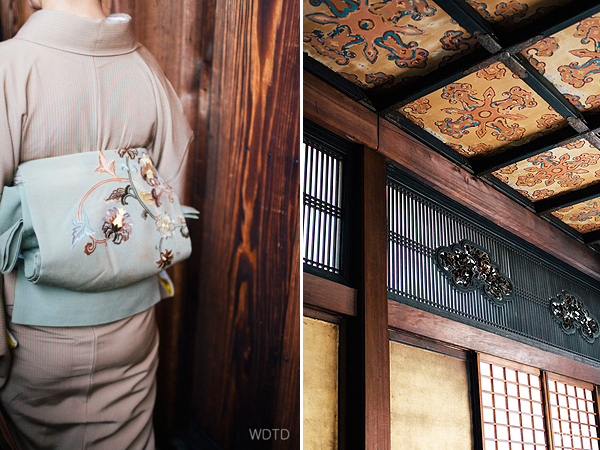 We stayed at Yamato ryokan – a quaint, petit and very clean traditional inn that is also well located. 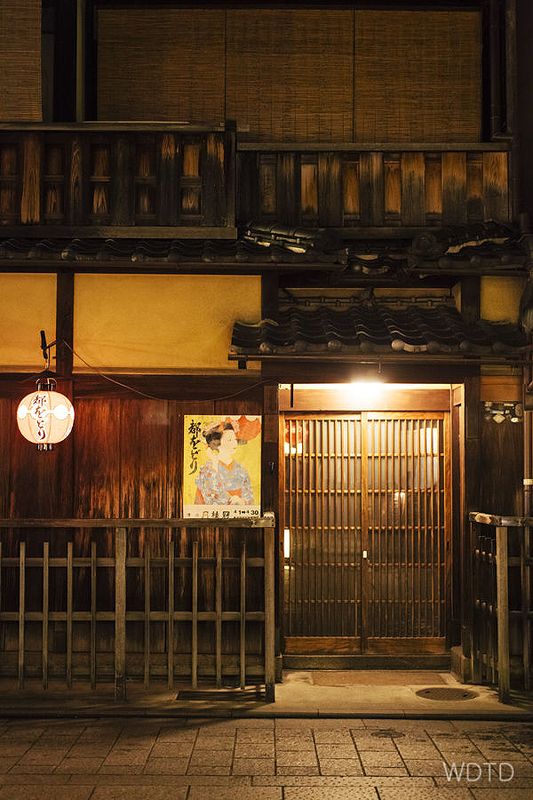 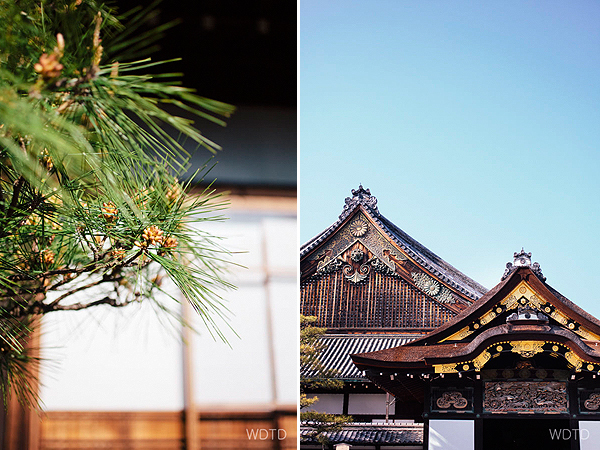 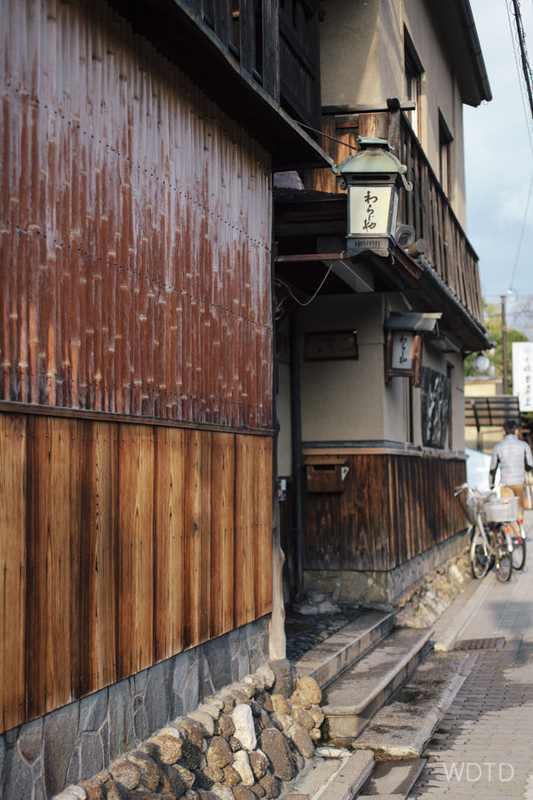 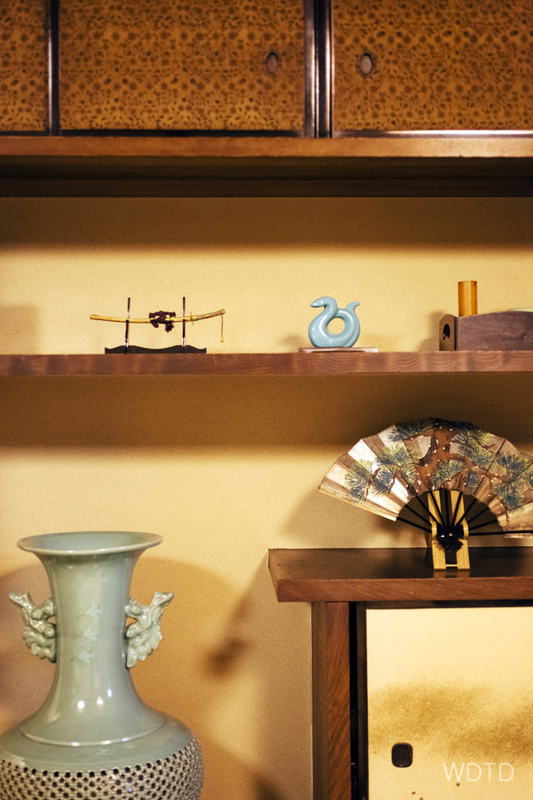 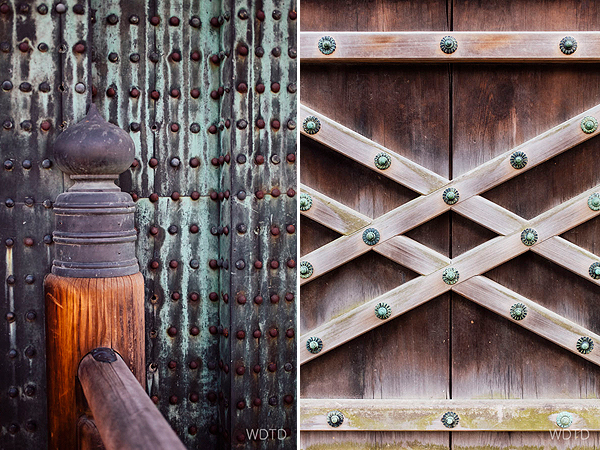 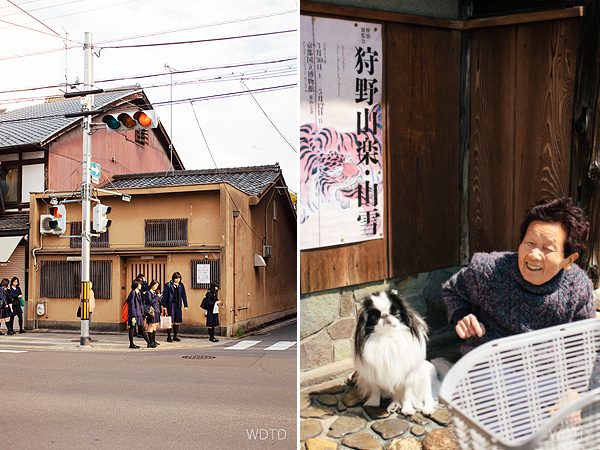 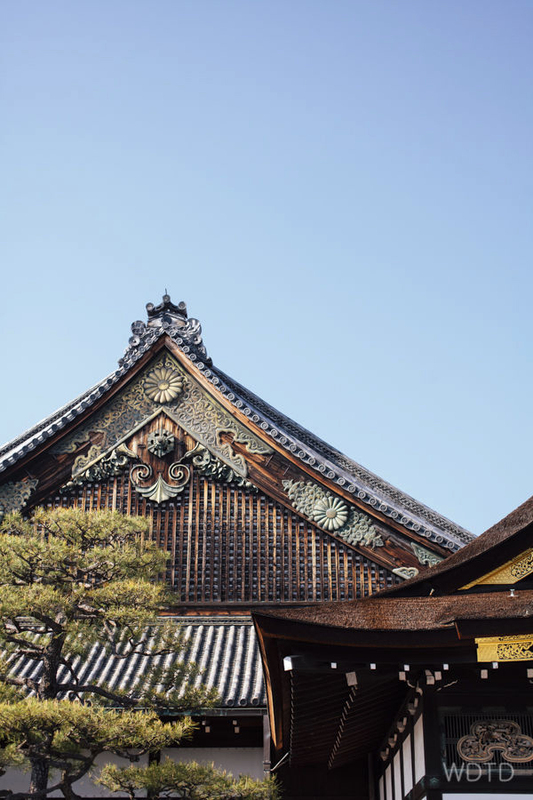 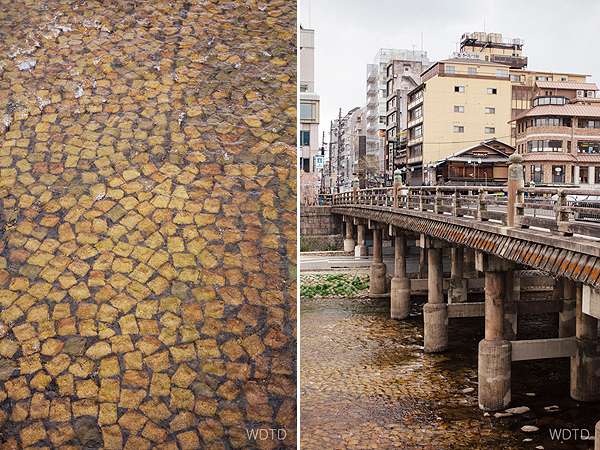 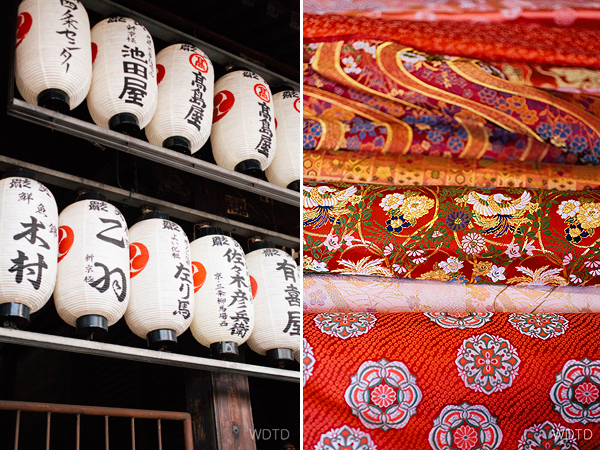 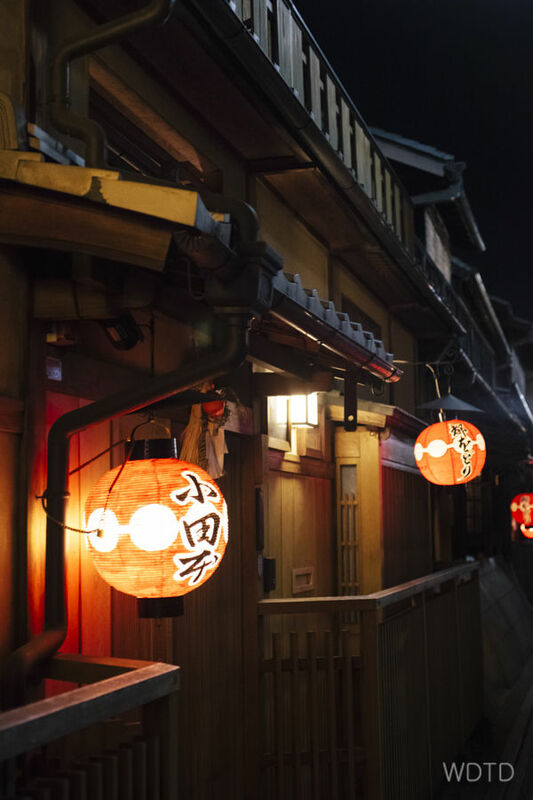 From the inn – Ponto-chō, Gion and Higashiyama are all within walking distance. 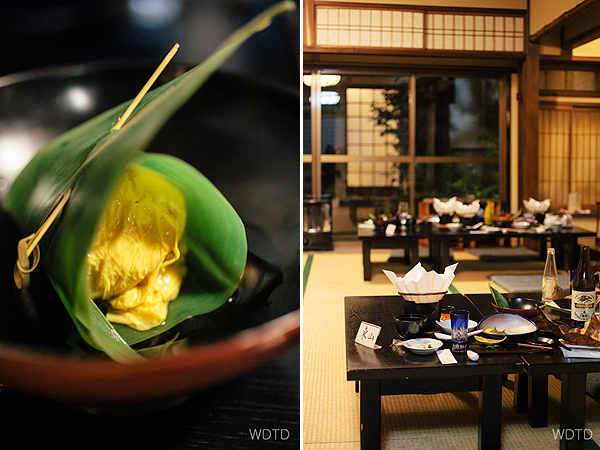 For the two nights we stayed there, we experienced the Japanese traditional way of life: the wearing of yukata while at the inn, sleeping on futon on tatami mat, dining Kaiseki style dinner, curfew at 11PM and enjoying the ofuro facility after a long day of sight seeing and eating! 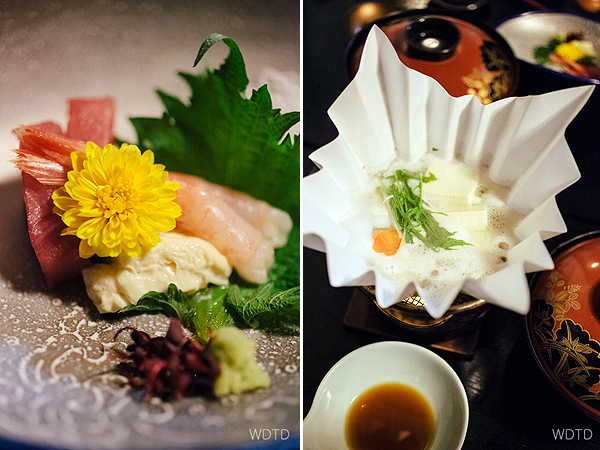 It was one the most delightful experience we have ever done and highly recommend it! 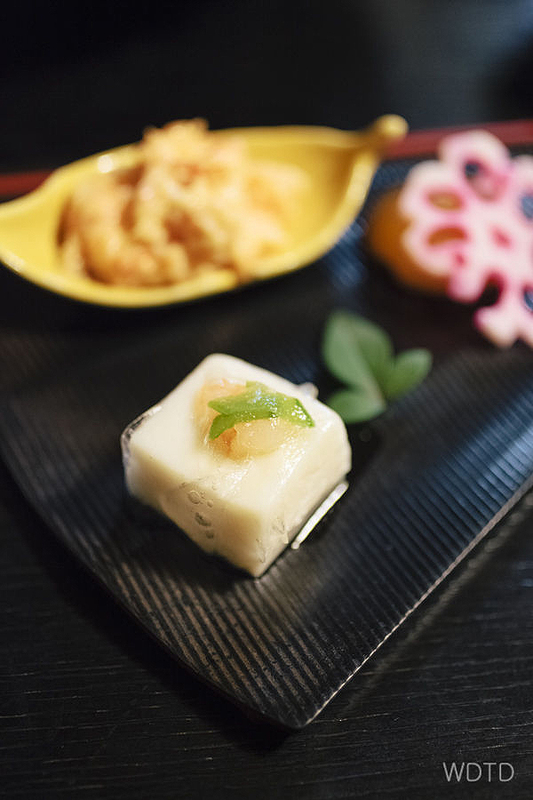 The highlight dish of our Kaiseki meal was this savoury coconut-ty seafood jelly wrapped in slightly chewy rice paper. 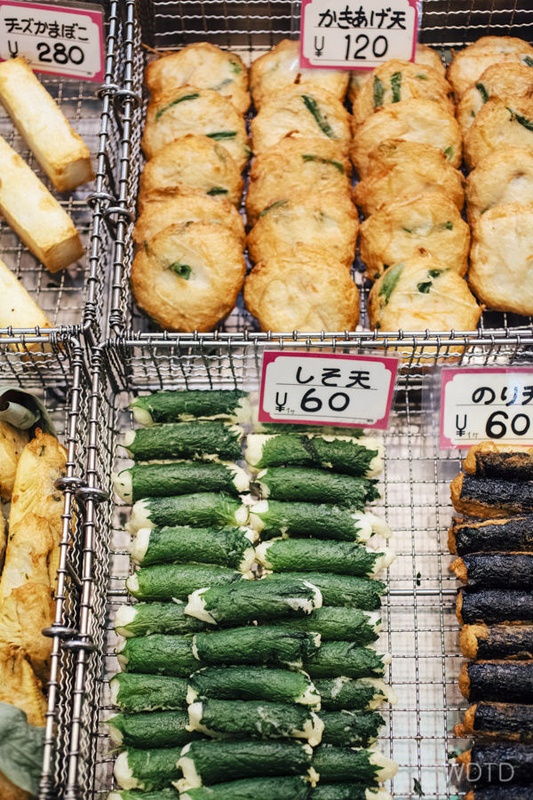 Very Oishii! 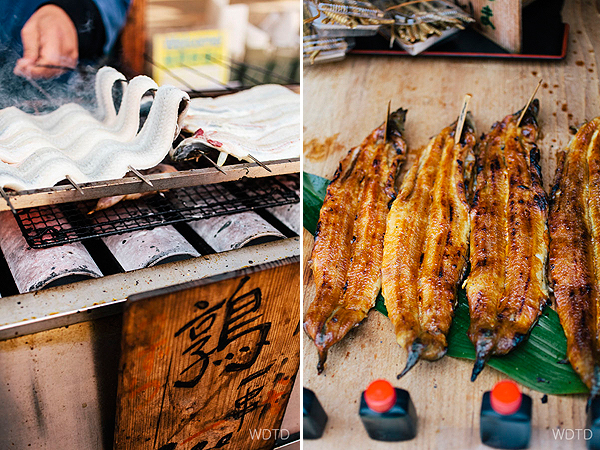 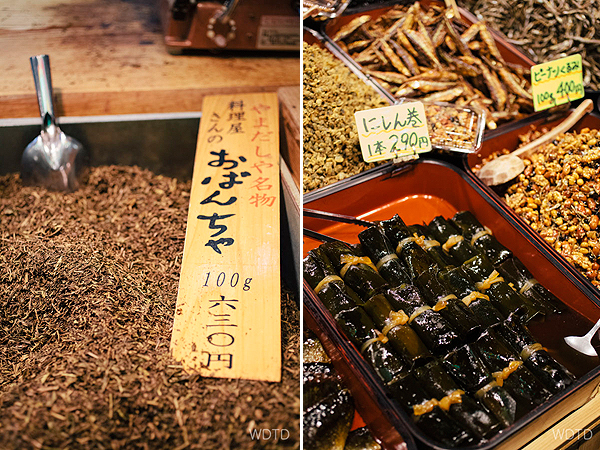 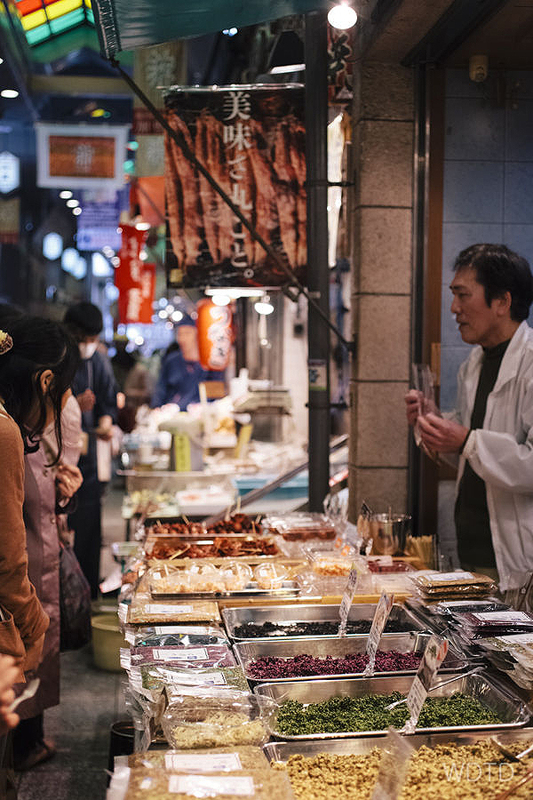 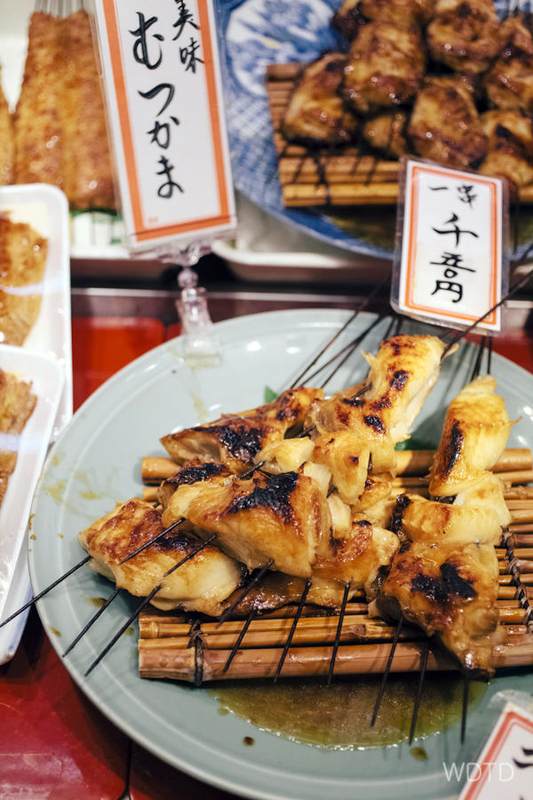 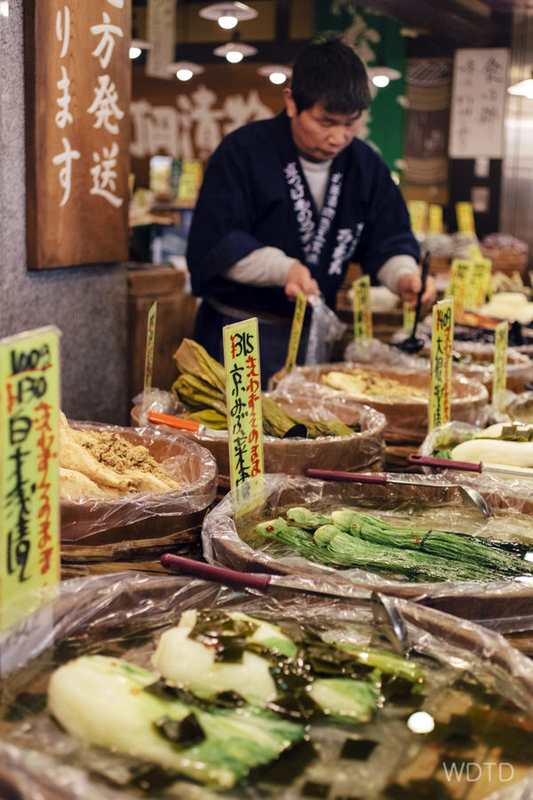 It is very difficult to go through the aisle of Nishiki market without sampling most of the nicely displayed delicious looking food! 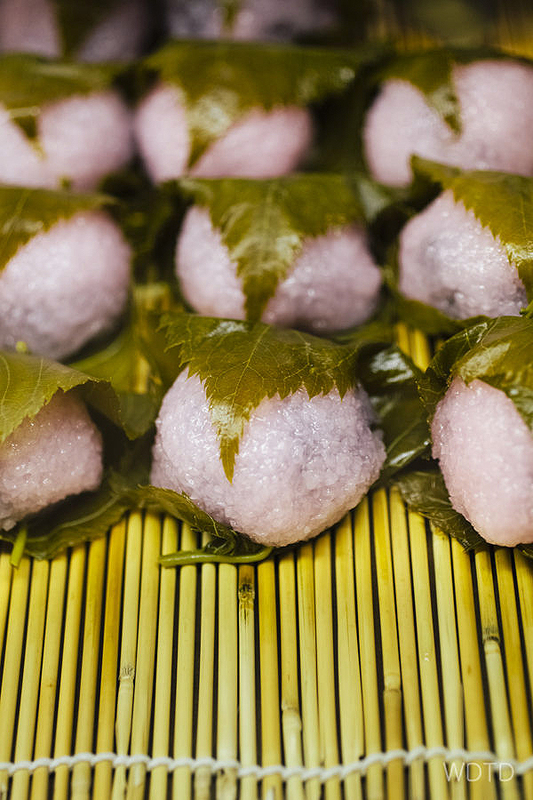 My absolute favourite was this Kansai style Sakura mochi with Azuki paste filling, wrapped with pickled sakura leaf. 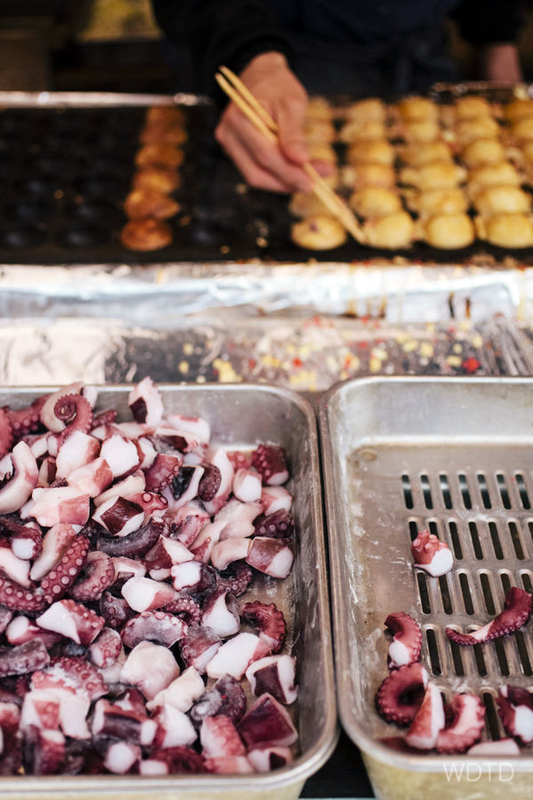 Sensational flavours bomb! 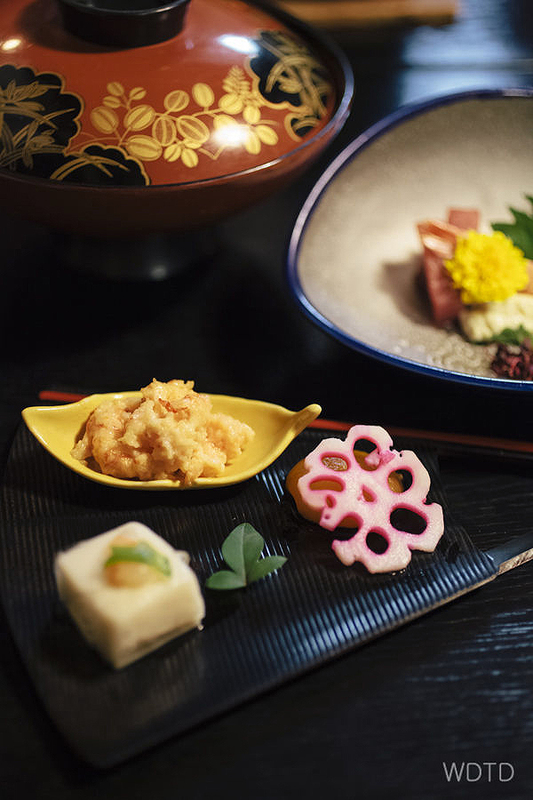 Kansai style Sakura mochi – available mainly during Spring as a part of the season’s celebration of cherry blossoms. 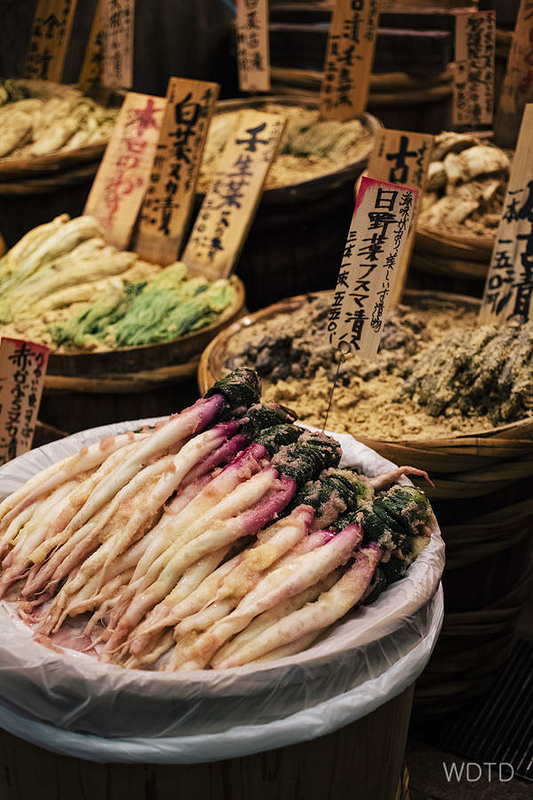 Various vegetables pickled in miso paste. 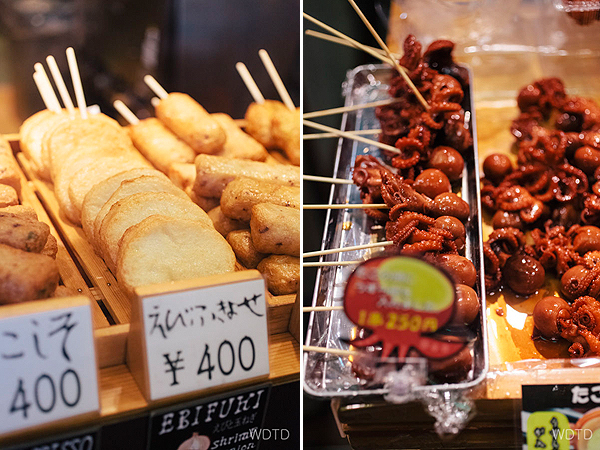 Prawn cake and baby octopus head stuffed with quail egg. 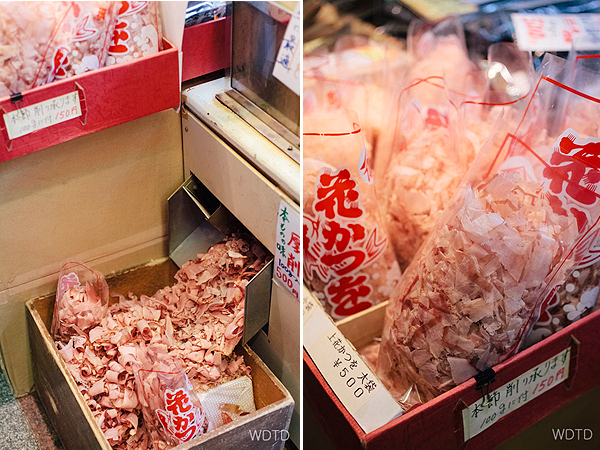 Left: Tarako (salted cod roe) usually used as Onigiri stuffing or on Chirasi. 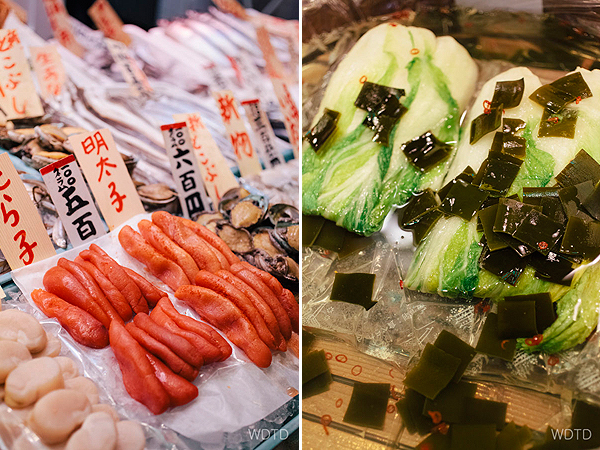 Right: Pickled chinese cabbage with wakame. 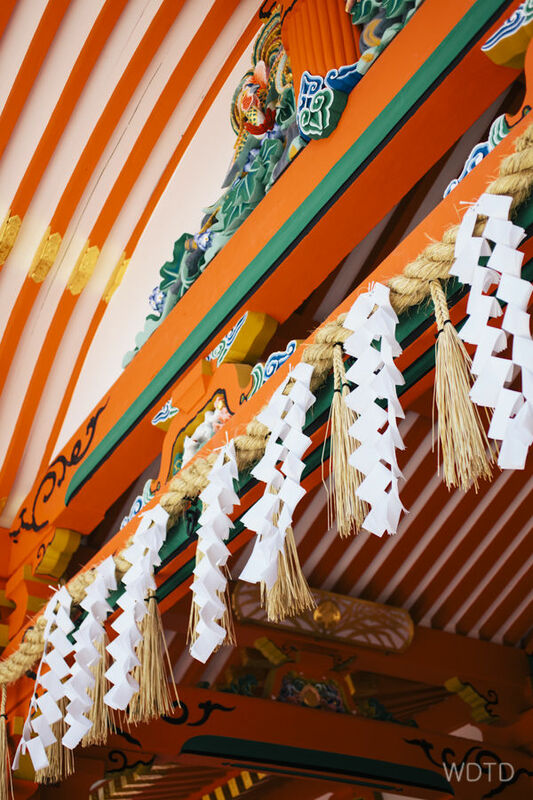 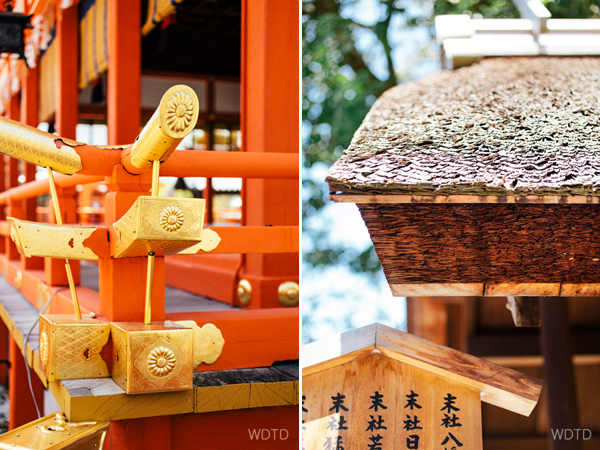 Beautiful Shinto shrine religious ornaments. 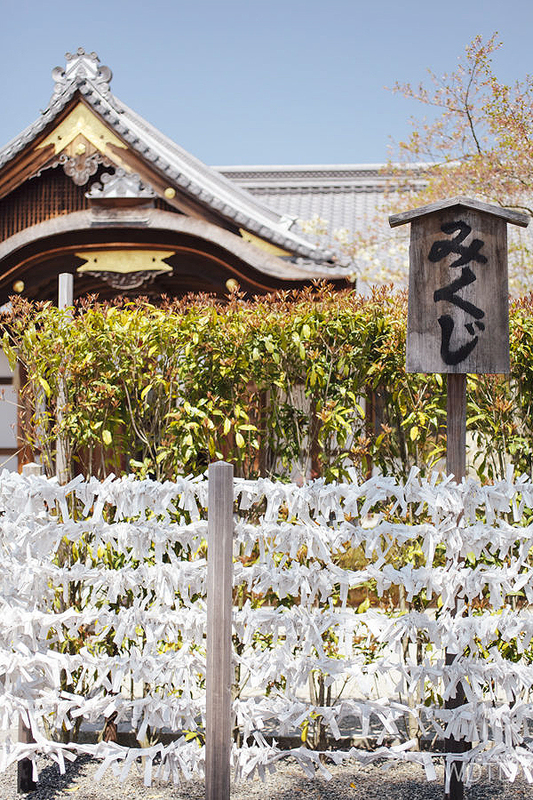 Visitors’ written wishes on the miniature temple gates. 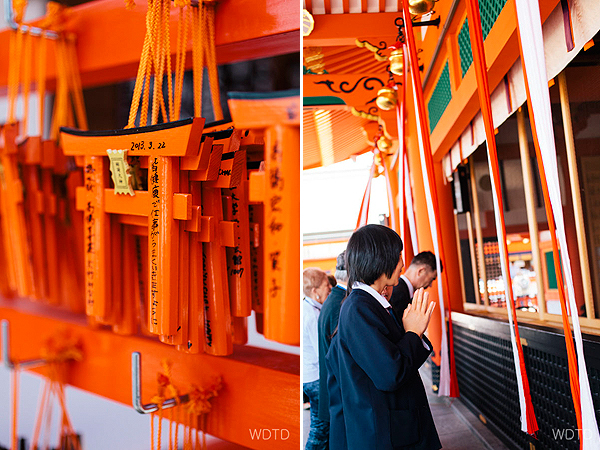 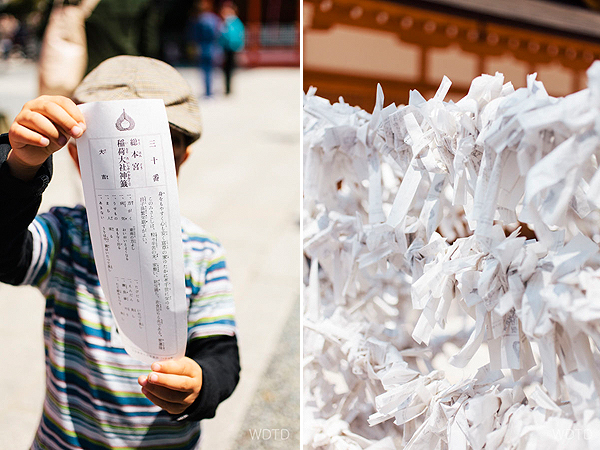 These get burnt at the shrine by the end of the year for the wishes to come true. 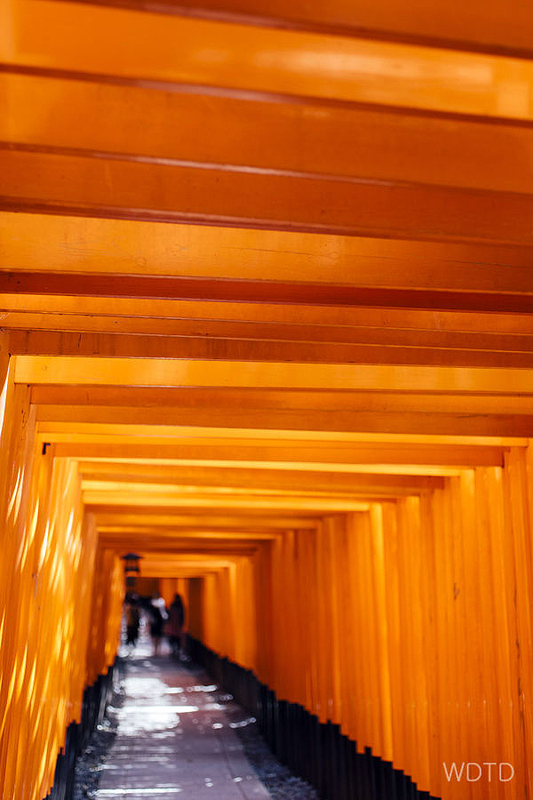 Vermilion Torii gateways at Fushimi Inari Shrine that lead to Okusha-Hohaisho. 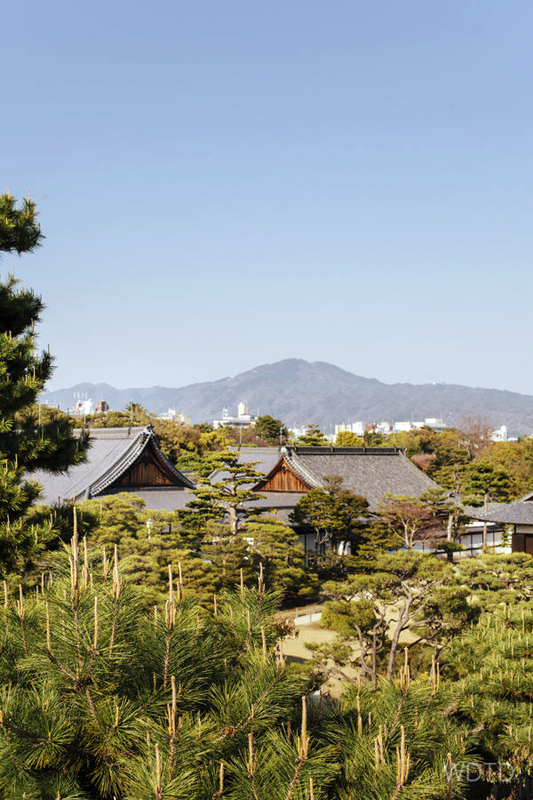 UNESCO World Heritage Site Nijō Castle. 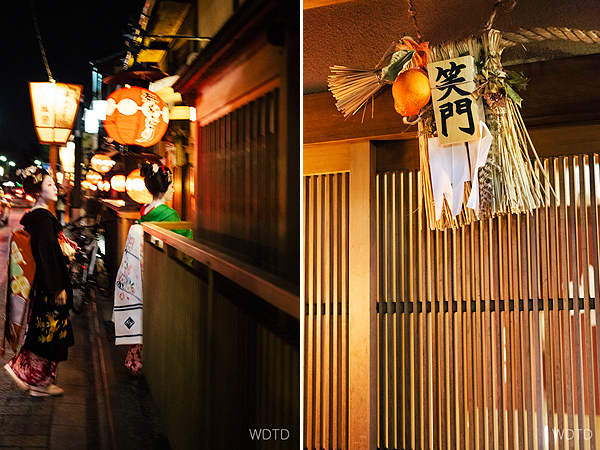 Lovely sight of exotic Maiko entering a guesthouse in Gion on our last night in Kyoto.